Like Michael Kay, I too do not like talking about whether or not people should be fired. It is tough for someone to lose his/her livelihood, and I do not like to go there. At the same time, I am OK discussing whether or not I think somebody WILL be fired. That brings us now to a discussion of the New York Mets’ manager. At this time, I would be completely shocked if Mickey Callaway returns to manage the Mets in 2019. I know that it seems harsh to fire a manager after only one year on the job, but there are three major reasons why I expect Callaway to be let go. 1) He is not a good manager: Let us start with the most obvious reason. The job of baseball manager has two main components – strategy and leadership. It would appear that Callaway struggles with both. In terms of strategy, there have been far too many times when Callaway has made indefensible decisions. I am not talking about leaving a starting pitcher in for one batter too many or one batter too few; I am also not talking about using his closer when he should not or using a non-closer when he should use his closer. We criticize all managers about these decisions any time said decisions do not work. No, I am talking about the obvious mistakes. For example, in June, the Mets faced the Pirates at Citi Field. In the Top of the 9th with 2 outs; first base was open, and the Pirates’ closer Felipe Vazquez was on deck. It should have been a no-brainer to intentionally walk the batter, so that Vazquez would have to hit. The Pirates had a lead, and it was a given that they would leave Vazquez (who had entered in the 8th) in the game. Most of the time, there are fair arguments on both sides in baseball, but there was no valid case to be made against the intentional walk here. Unfortunately, Callaway chose not to walk the guy. That was bad. As for leadership, I think Callaway is in worse standing there than he is with strategy. It is conceivable that Callaway can improve from a strategic standpoint. After all, he was previously a pitching coach in the American League; thus, the bulk of National League strategy was irrelevant to him in years’ past. Unfortunately, leadership is a more difficult ability to change – typically you are either a good leader, or you are not. Let us be clear. I very very rarely criticize a manager’s (coach’s) leadership in any sport. I think it is laughable when fans say things like, “The manager/coach has clearly lost the clubhouse/locker room”….as if we have any idea what is going on in those rooms. These critics are the people who see a physical error and blame the manager. Seriously, when the Yankees were 5-5 in April, I heard a guy call WFAN and claim that Aaron Boone was a bad manager because someone on the Yankees (I think it was Gregorious, but I am not certain) had made an error. If I ever get to the point where I blame individual physical errors on the manager, please euthanize me. However, it is reasonable both to blame managers for players’ mental errors and to believe a players-turned-announcer’s analysis that a manager has “lost the team”. This is where Callaway finds himself in deep trouble. 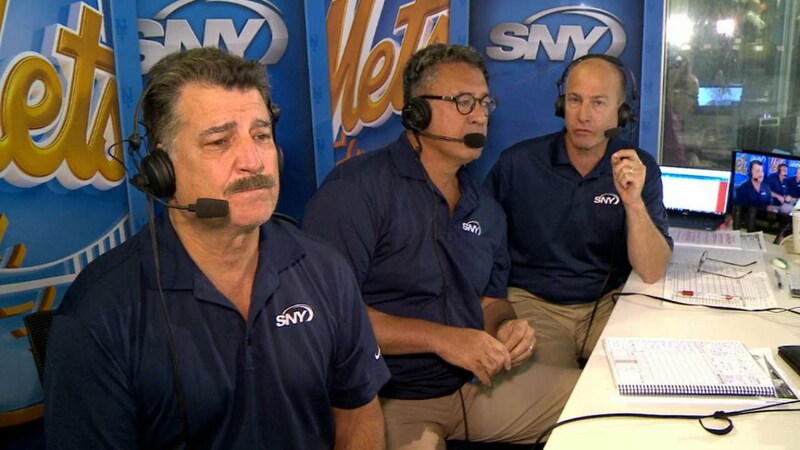 I have never heard the Mets’ TV announcers – Gary, Keith, and Ron – show the same amount of disdain for a manager that they do for Mickey Callaway. The disdain is never directly stated, but it is obvious. A textbook example came during Wednesday’s 5-3 Mets loss in D.C. Jose Bautista swung and missed for Strike Three, and the ball bounced to the backstop. Bautista did not run and was called out. Gary Cohen voiced his displeasure for Bautista’s stationary response, and Darling responded by saying that he was not surprised. Darling explained that the Mets have not run out dropped third strikes all year long. During Cohen’s and Darling’s dialogue, the disdain was obvious by the tones of their voices. Similarly, a few weeks ago, Keith Hernandez appeared on Mike Francesa’s show. Francesa asked Keith if he thought Callaway was a good manager, and, in standard Francesa form, the question was long-winded and insinuated Francesa’s thoughts that Callaway was overmatched (either leadership-wise or strategically). Keith responded with only “I expect Mickey to be the Mets’ manager next year.” It was the ultimate case of “If you don’t have anything nice to say, don’t say anything at all.” A damning comment from Keith….and yes, one that runs contrary to the basic premise of this article. Anyway, the Mets have made many mental errors this year, such as Wilmer Flores not throwing home in Wednesday’s eighth inning. Unlike with physical errors, a mental mistake is at least partially the manager’s fault. A manager should do his best to ensure that all players know what to do in all situations. Of course, players can make mental errors even if the manager has adequately prepared them to do the right thing. Unfortunately, there have been too many mental errors for this year’s Mets for one not to wonder if the manager is partially to blame. There have also been too many times when the Mets do not hustle. Again, for that, it is fair to look toward the manager. Does this mean that Callaway has lost the clubhouse? On my own, I cannot say that. However, there have been enough allusions from Gary, Keith, Ron, and even Nelson Figueroa (SNY Studio) that Callaway has no control over the team. 3 of those 4 were Major Leaguers, and the other has been around Mets teams for 30 years. When they say that Callaway has “lost the team”, I believe them. 2) The Mets need a scapegoat for this awful season. If a team has an unexpectedly terrible season, there usually needs to be a scapegoat. As the old adage goes, you cannot fire the whole team, but you can fire the manager. Note that I wrote “unexpectedly” in the first sentence of this part. The Mets lost 92 games last year, which is terrible. When a team has a terrible season, it is usually reasonable to expect the next season to be terrible as well. Fairly or not, though, most people viewed the 2018 Mets differently. While people were not readily predicting the 2018 Mets to be a playoff team, most people assumed that 2017 would prove to be an aberration because Yoenis Cespedes and the Mets’ starting-pitching staff minus Jacob deGrom spent most of 2017 on the disabled list. Therefore, it seemed reasonable that the 2018 Mets would be at least a .500 team and would be in the running for the second Wild Card. Unfortunately for Callaway, Cespedes will end up spending most of 2018 on the DL as well, and the stats since the start of 2015 show that the Mets are much much better with Cespedes than without him. At the same time, deGrom, Steven Matz, and Zack Wheeler have essentially been healthy all year to this point. Noah Syndergaard has been healthy for 2 of the 4 months. Seth Lugo has been healthy as well, and he made a few starts early in the season before moving effectively to the bullpen. In a way, Callaway has actually been hurt by the fact that the starting pitching has done well this year. We all hoped that the Mets’ pitchers would be better and healthier this year than last year, and that has been the case. Therefore, the fact that this pitching success has led the Mets to a 44-61 record ends up making it worse on Callaway than if the pitchers had all been terrible. Had the pitchers been terrible and/or hurt, we would likely be blaming the pitchers (who were terrible and/or hurt last year, pre-Callaway). Many modern “Moneyball” people say that a manager does not matter. I am a moderate in this debate. When a team is 44-61 as the Mets are, not even Gil Hodges nor Tony LaRussa would not have made the team a playoff team. The Mets are terrible primarily because they have bad players – especially position players. That said, I think that the difference between a good manager and a bad manager is somewhere between 6 and 10 wins over a full season. While any manager can and should rely primarily on all available statistics to guide his decisions, a good manager is also able to take advantage of knowledge like: which reliever says he has “good stuff” today, which batter had great batting practice today, which normally-good player is in a funk today because of a fight with his girlfriend, which player is feeling sick today, etc. A good manager rarely loses games because his players make mental errors or do not hustle. A good manager’s tough decisions end up correct more often than not. It would seem that none of the previous paragraph applies to Callaway. Thus, given that we are 2/3 of the way through the season, maybe the Mets would have 6 more wins with a better manager. That would mean a 50-55 record, which is actually a world of difference from 44-61. It would give the Mets a chance to finish over .500. More importantly, it would make the Mets feel that they are on the way back after the disastrous 70-92 2017 season. I would love for the Mets to sign Manny Machado next year, but I know it is not happening. The Wilpons can try to sign several players who will make the Mets much better in 2018, or they can bring in a new manager. If the Wilpons do the latter, they can preach a change of culture, accountability, etc. Which option is better? I would absolutely prefer better players, because that can make more than 6 to 10 wins worth of difference. However, which is cheaper? Bringing in a new manager. That is the biggest reason why I expect a new manager in 2018. 3) The Mets wreck their managers by not letting them appear on WFAN or ESPN Radio. This needs to be said. 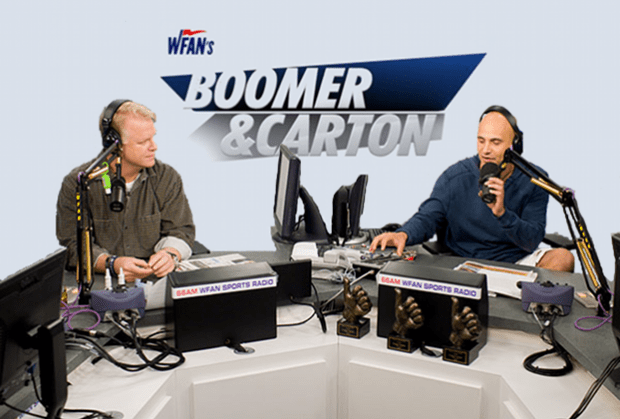 Most Mets fans think of Mickey Callaway as a buffoon, partially because we never get to hear our trusted sports-radio hosts – Francesa, Kay, LaGreca, Evan Roberts, Boomer, etc. – interview the guy. The Mets do not let their personnel speak on radio stations other than 710 WOR, and, in so doing, they set up their managers for failure. If we were able to hear Callaway be interviewed on a weekly basis, we would hear his answers to some of our questions. Oftentimes, we think people are misguided until we hear them provide their actual rationales. Unfortunately, we do not get this air time with Callaway. All we get is plenty of hosts deservedly ridiculing him for saying, “We are going to love our players…”. This is why Callaway could truly benefit from first-hand WFAN/ESPN Radio time. OK, maybe Callaway would not give us much more in hypothetical WFAN/ESPN interviews than he gives us in his postgame press conferences, but there is a multiplier effect in play. Radio hosts are nicer when discussing people who are guests on the show than when discussing people who are not. It is human nature. This does not mean that the radio hosts have not spoken ill of Joe Girardi nor Aaron Boone at times. However, hosts will give those guys the benefit of the doubt, because they have working relationships that lead the hosts to assume the best from the managers. When have you heard any sports-radio personality give Callaway the benefit of the doubt? It never happens, because the hosts do not have relationships with the guy. This hurts Callaway. There is never any positivity about Mickey Callaway when it comes to sports radio, and that influences fans’ perceptions. The Mets ensure that their managers receive primarily negative radio coverage. Not only is this bad for Callaway, but it will also hurt his replacement as Mets manager in 2019. I know that Keith expects Callaway to be back next year, but I think this post is way too long for that to be the case.